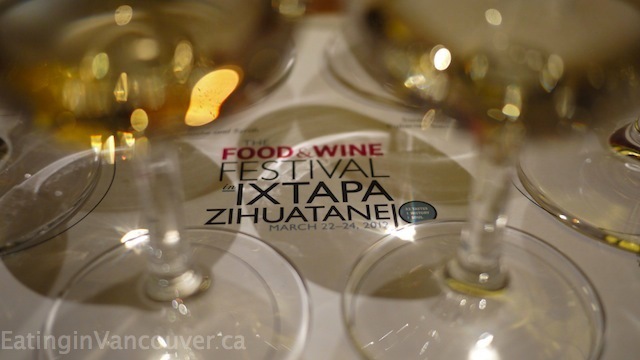 The upcoming FOOD & WINE Festival In Ixtapa-Zihuatanejo Mexico will present a banquet of culinary indulgences, all with a distinctive Mexican point of view. Wine expert Mark Oldman and celebrity chefs Michael Symon and Marcus Samuelsson will join Mexico’s foremost masters of cuisine for an authentic exploration of local flavors. Sample traditional dishes with a modern flair and for a special highlight, dig into avant-garde street food that will have you oohing and ahhing down the embarcadero. Don’t miss classes, exclusive house tours and a catamaran cruise past quiet fishing villages — reminding you what makes gorgeous Ixtapa-Zihuatanejo so delectable. Ixtapa-Zihuatanejo offers miles of beaches and boardwalks creating a Mecca for surfing, diving, fishing, shopping, and relaxing with abundant opportunities to unwind at local spas. The area offers an array of accommodations to choose – from affordable boutique-style hotels to luxurious five-star resorts. At a moment’s notice, you’ll have access to diverse cultural sights and of course, outstanding regional cuisine of Mexico. Mark Oldman hosted a preview event for this festival at the Four Seasons Hotel in Vancouver, BC, Canada. We were lucky enough to be invited to the exclusive media event — you can read all about the preview here and whether or not it’s a festival you should mark on your calendars!